The UK's original Airstream holidays. 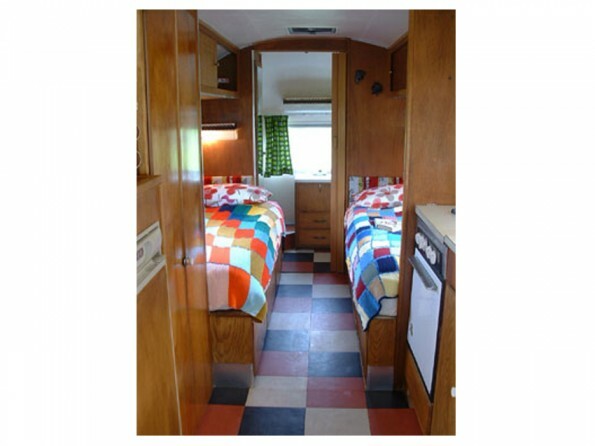 A collection of 13 classic American trailers plus a few vintage British caravans, set in picturesque countryside and with unique, quirky interiors. With each caravan sleeping 2-6 people, what better place to go for a 'one off' holiday. Ashey is only 10 mins from the Victorian seaside splendour of Ryde but is very rural. The Isle of Wight is always top of the UK sunshine charts and is something of a time capsule. Near to our site is the fantastic Havenstreet Steam Railway. A car is useful but not essential...although you will need to cycle or taxi into Ryde to pick up public transport routes. We are 20 minutes from Fishbourne ferry terminal. Each trailer is a restored labour of love and they all have their own personalities! The kitchens are well kitted out and fridges and cookers are of a good size. There are showers and bathroom sinks on each trailer. The trailers sleep from 2-6 and you can find more detailed descriptions on our website. 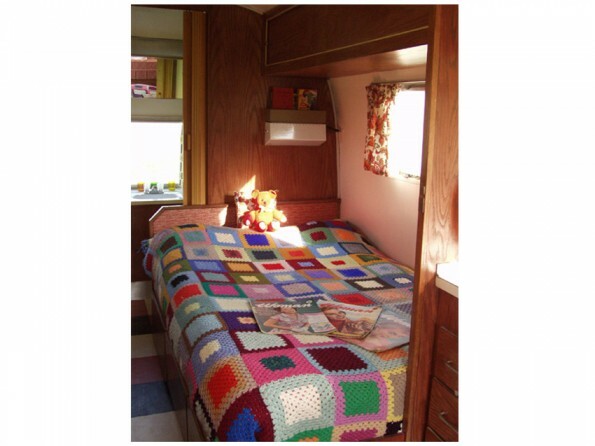 Smaller caravans are available to hire as an extra bedroom - ideal for teenagers or Mother-in-Laws...! Each trailer has its own picnic bench and parasol and outdoor games selection. 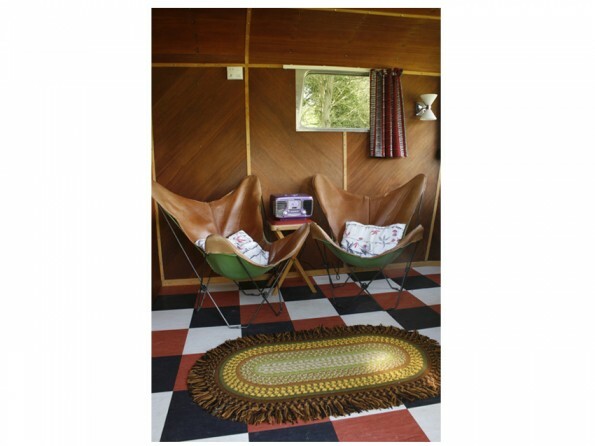 Our site is large with no other 'non vintage' caravans to spoil the view! Log burners available. The Shop-in-a-shed sells vintage clothing, handmade items and 'stuff' as well as a selection of local produce. Breakfast packs are available. Non smoking and (sorry), no pets. Professional photography strictly by arrangement and separate from holiday bookings. Bookings are subject to our T&Cs, which are viewable online.